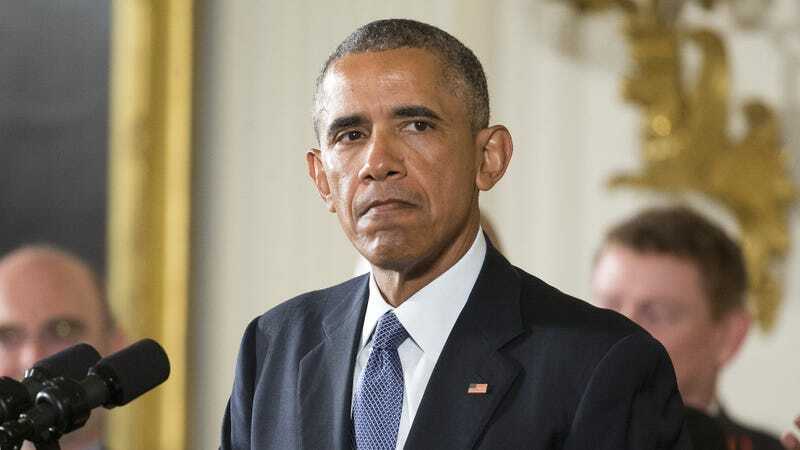 President Obama announced a new executive order to stop gun violence in the US, with several new policies including a national registry for gun vendors. But he also called for gunmakers to “update firearms technology,” which would include not only biometric locks but a new idea to track guns with an app. Although the concept of “smart guns”—firearms that are biometrically registered and can only be unlocked with the fingerprints of the owner—has been talked about for decades, this idea is a new twist on existing technology that could help keep guns from getting into the wrong hands. It’s completely possible to do this using all the tech we have now. Networked guns, for example, are being proposed by some police departments to not only track the locations of guns but report back to authorities when and where they’re discharged. Besides the part where Obama has to convince gun manufacturers to embed a trackable chip into their guns, there are plenty of privacy issues to confront. A gun is a little different to locate than a missing iPhone, although you’d hope people wouldn’t use the tool to go looking for their missing guns. Could firearm owners use the “Find My Gun” app to locate their rifle that was just tucked in the back of their garage? Or would the ability to search be limited to law enforcement officials? As Obama said in his speech, guns now kill as many people as cars in the US. Because there’s so much technology and research dedicated to preventing cars from killing people, traffic deaths are going down. The same thing should be happening for gun deaths.